Making a debut this winter with millions of dollars of improvements and additions, the recently rechristened Purgatory Resort offers a variety of activities for snow enthusiasts of any pursuit. The mountain resort provides incredible terrain for skiing and snowboarding of all experience levels, as well as bars, restaurants, and other winter amenities that make time spent on and off the slopes enjoyable for all. A new high-speed quad on the backside of the mountain opens this winter, whisking skiers and snowboarders from base to summit and revealing new trails to explore. The exciting and impactful changes coming to the resort bring a fresh and thrilling stimulus to a beautiful mountainscape that is already a winter recreationalist’s paradise. Everyone has a favorite way of experiencing the thrills and chills of winter. Cozy up inside historic accommodations like the Strater Hotel, pamper yourself at Signature Salon or one of the town’s other luxury spas, or browse the nationally acclaimed galleries and boutique shops. If winter won’t find you anywhere but outside, ski, snowboard, snowshoe, sleigh ride or snowmobile to explore the show-stopping wilderness. Try a new pursuit this winter: dogsled at Durango Dog Ranch or ice climb with San Juan Mountain Guides and experience winter from a whole new perspective. Nothing paints an idyllic wintertime picture like the image of the Durango and Silverton Narrow Gauge Railroad chugging beneath snowcapped peaks and over icy rivers. Pajama-clad families enjoy the longstanding tradition of The Polar ExpressTM, a family-friendly event packed with holiday magic, nostalgic entertainment and holiday treats. A new tradition on the rails this year: the D&SNGRR invites families to choose and cut their own Christmas tree from Cascade Canyon as part of their train-riding excursion, all supervised by a United States Forest Service ranger. The Photographer’s Train provides a unique opportunity for amateurs and afficionados alike to revel in the beauty of their surroundings for up-close photo options. Holiday-centric festivals like Noel Night provide shopping opportunities, arts and crafts and seasonal revelries. Returning for its saucy 38th year, Snowdown, Durango’s irreverent celebration of the season, will honor winter with traditional gaieties and a line-up of raucous events, all with a bodacious 1980’s theme. The Winter Solstice Artisan Market features the craftsmanship of local and regional artists who create ceramics, jewelry, metal, textiles, glass, wood, notecards, ornaments, calendars, photography, painting, and drawing. As a cultural and artistic destination, a multitude of nationally acclaimed galleries offer an escape from the cold. The Durango Arts Center presents fresh theatrical offerings, from family fun pieces like The Music Man to contemporary and cutting-edge productions . For a hands-on experience, educational classes like book making and relief printmaking impart unique and creative knowledge, while also leaving you with a memento of the magical experience of a winter in Durango. Whether dodging snowballs or building snowmen, the winter season is full of opportunities for frosty fun. Enjoy the thrill of sledding or tubing at one of many popular spots, like Purgatory Resort or Chapman Hill. 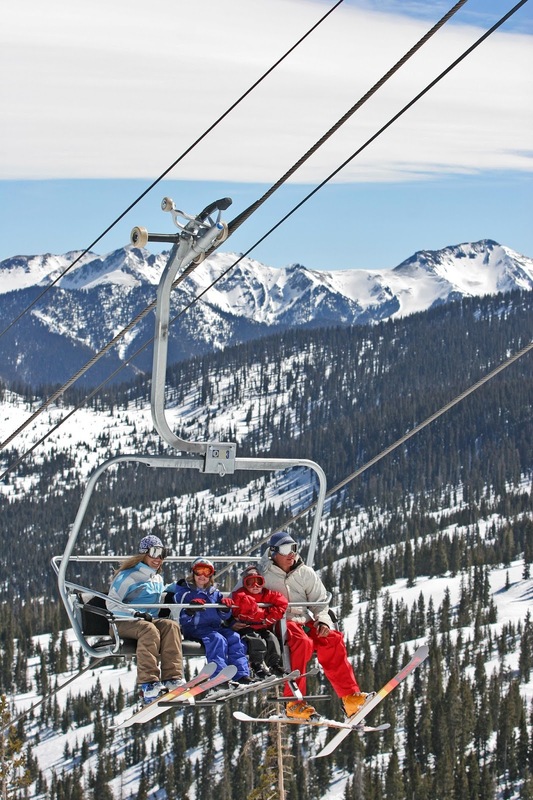 Adaptive Sport Association’s winter program offers state-of-the-art equipment and trained instructors for people with disabilities to experience the winter season on the slopes. Lace up a pair of skates and take a turn at the Chapman Hill ice skating rink, where lessons and free skate can turn any novice into a pro. Cheat chilly temperatures at the Trimble Spa and Natural Hot Springs, where relaxing thermal-heated pools and spa facilities will warm adults and children alike. When flurries begin to fall in Durango, locals and tourists alike embrace the invigorating winter season. Easy access to majestic landscapes and an abundance of the outdoors coupled with the unique charm and perspective of the mountain town make Durango a haven for a perfect winter holiday. About the Durango Area Tourism Office: The Durango Area Tourism Office is a non-profit organization operating with the mission to promote Durango and La Plata County’s multitude of tourism attractions, events and services. 1-800-525-8855, www.durango.org. Connect with them at “visitdurango” on Facebook, Twitter and Pinterest. I would love to spend a winter holiday in Colorado. 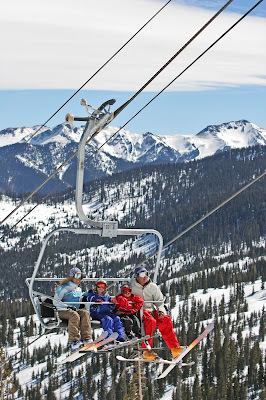 There are so many things to do besides skiing as you described on your post.